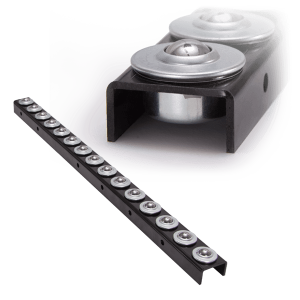 Omnitrack Ball Transfer Rails – construct a bespoke & flexible conveying plane by configuring ball transfer rails to your application. 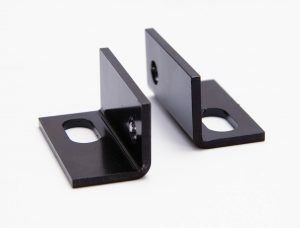 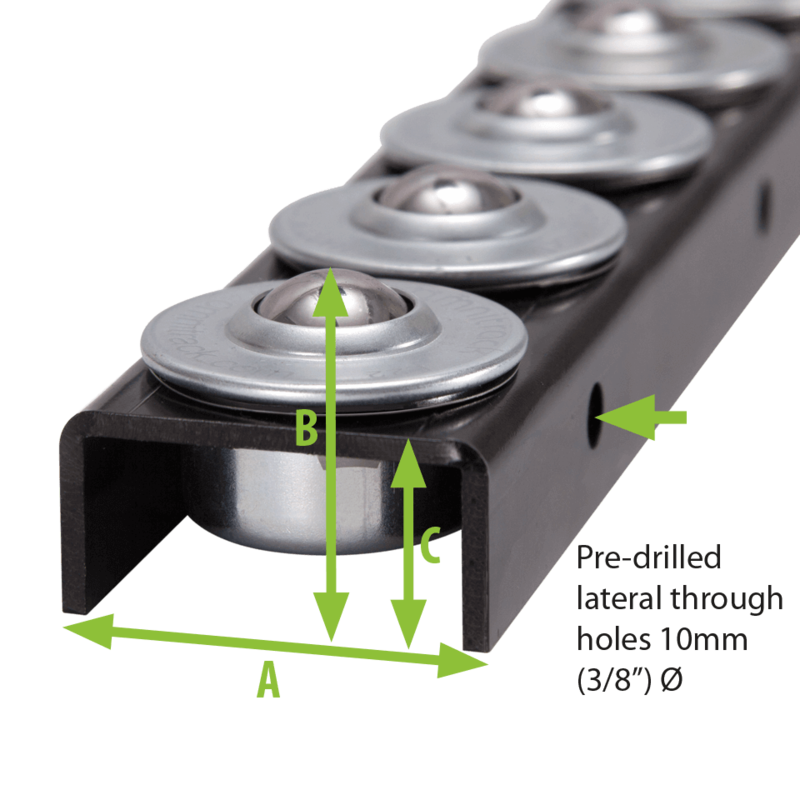 Ideal in live storage applications, the rails can be installed individually using optional fixing brackets or bolted together either with or without optional spacer tubes to form a ball transfer platform. 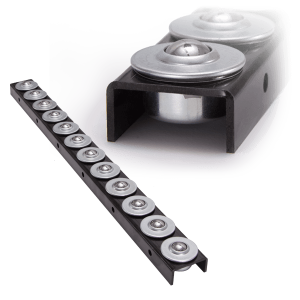 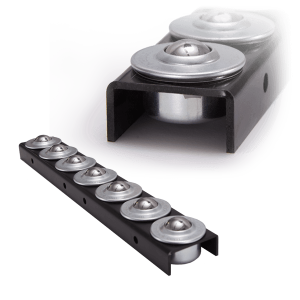 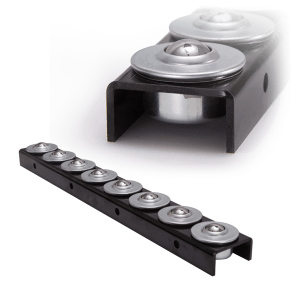 15.750″ & 23.625″400mm & 600mm standard lengths for rapid integration within existing conveyor roller installations. 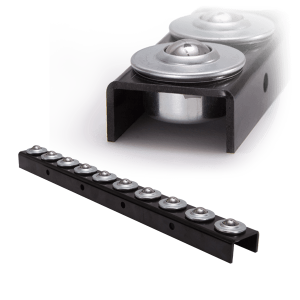 Ball transfer units available with alternative material upgrade options.